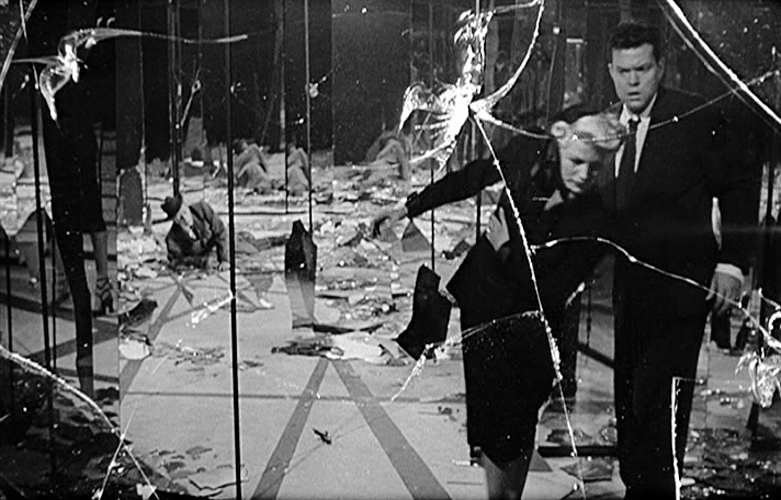 The opening sequence alone makes it worth watching, as the camera pans down the gritty mean streets of New York City (42nd Street, to be exact!) and that iconic funky theme song by Isaac Hayes kicks in! There’s a couple of heavy hitters on the prowl for private eye John Shaft… too bad for them! 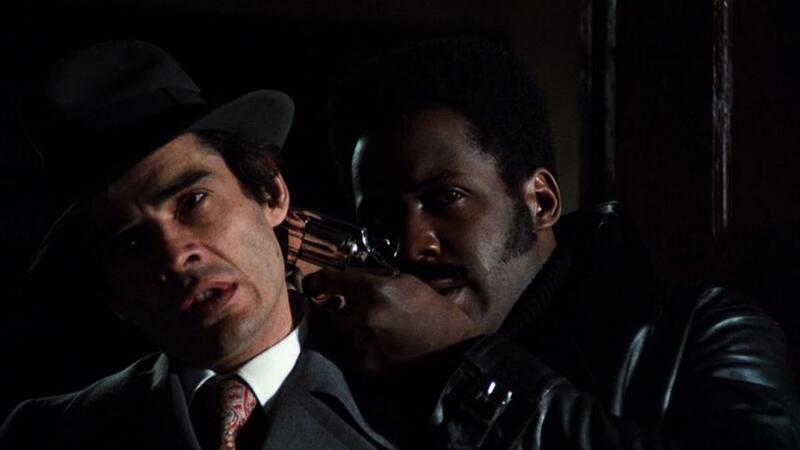 After Shaft throws one of them out of a window, his police frenemy Lt. Androzzi (Charles Cioffi ) wants some answers, including what’s brewing up in Harlem with rackets boss Bumpy Jonas (Moses Gunn). Shaft wants to find out too, and soon discovers Bumpy’s daughter has been kidnapped, possibly by a radical militant gang led by Shaft’s old running buddy Ben Buford (Christopher St. John). 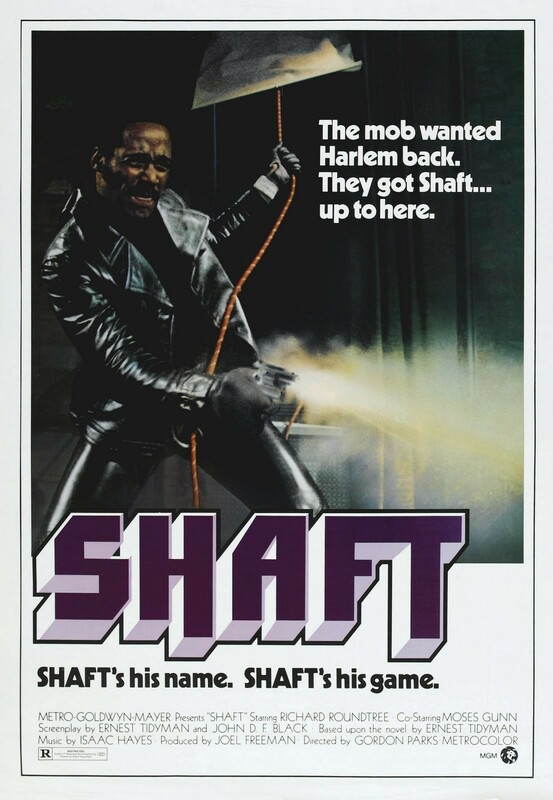 He’s hired to find her, but when some of Buford’s crew are gunned down by unknown assailants, Shaft finds himself caught in a gang war between Bumpy and the Mafia. Being the ‘bad mother’ that he is, Our Man Shaft enlists the militants to aid him in rescuing Bumpy’s little girl from the mob in a wild climax. 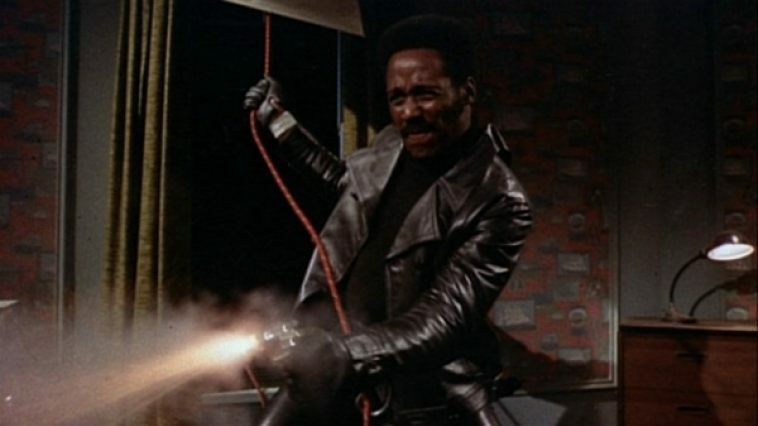 Richard Roundtree as John Shaft is closer in spirit to Mickey Spillane’s Mike Hammer than PI’s like Sam Spade or Philip Marlowe . Shaft’s a take-no-crap kinda guy, as quick with fists as he is with his wits, and of course the ladies all love him! He’s got attitude to spare, especially when sparring with white establishment cats like Androzzi. 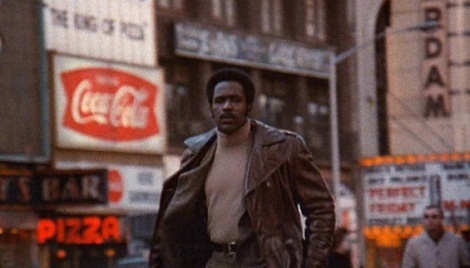 Roundtree went on to portray the super sleuth in two sequels (1972’s SHAFT’S BIG SCORE and 1973’s SHAFT IN AFRICA) and a brief TV series (1973-74). Some of his other films include EMBASSY (1972), CHARLEY ONE-EYE (1973), EARTHQUAKE (1974), DIAMONDS (1975), and AN EYE FOR AN EYE (1981). 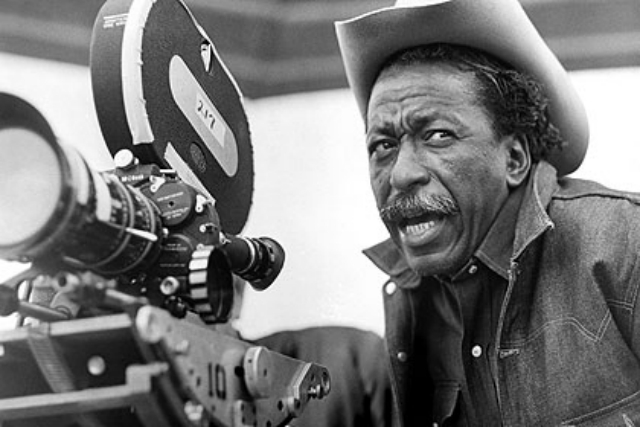 Director Gordon Parks was a true renaissance man. He first gained notoriety as a photographer for LIFE Magazine, and turned his autobiographic novel THE LEARNING TREE into a 1969 Warner Brothers film, making Parks the first black director for a major studio production. He was editorial director for ESSENCE Magazine from 1970-73, and an accomplished poet, painter, and musician. Among his other screen works are the buddy-cop pic THE SUPER COPS (1974), THOMASINE & BUSHROD (1974, a sort-of Blaxploitation Bonnie & Clyde), and the biography of folk-blues legend LEADBELLY (1976). His son Gordon Parks Jr. was director of another iconic Blaxploitation flick, SUPER FLY (1972). One of the coolest detectives ever! That theme tune is soooo awesome too. Have you ever seen Truck Turner? That is a brilliant film and it is hysterical too. Nichelle Nichols plays one bad, foul mouthed chick in that. Such a shame that Nichelle never got more roles like this in her career. Have not seen that one… yet! Thanks! I hadn’t seen it in years myself, and it still holds up well.